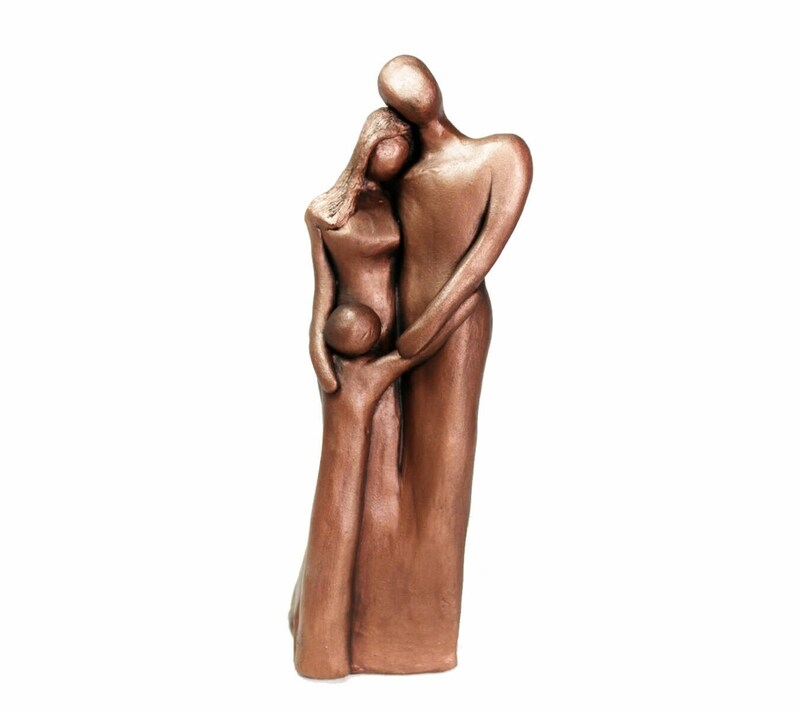 Your 7th Anniversary Family Portrait Sculpture will have a Copper finish and is 9" tall. 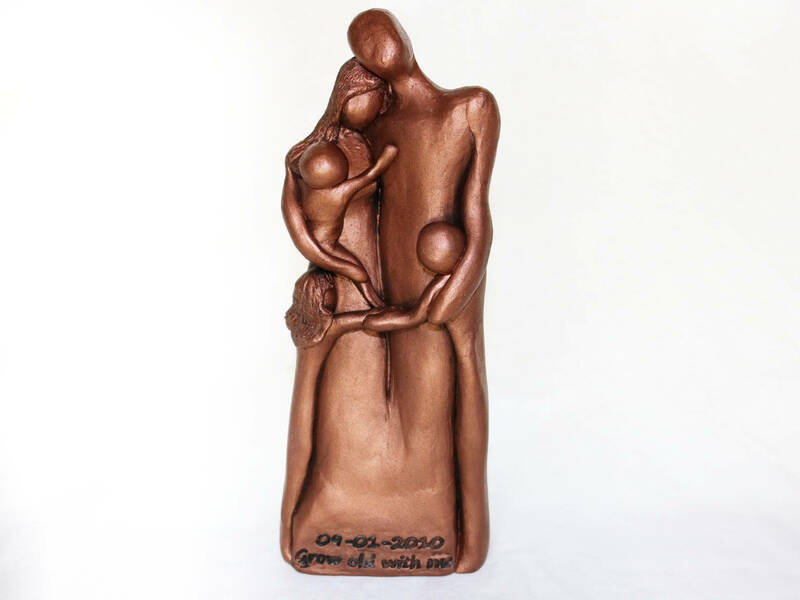 This is a listing for family of three portrait sculpture based off of your family. 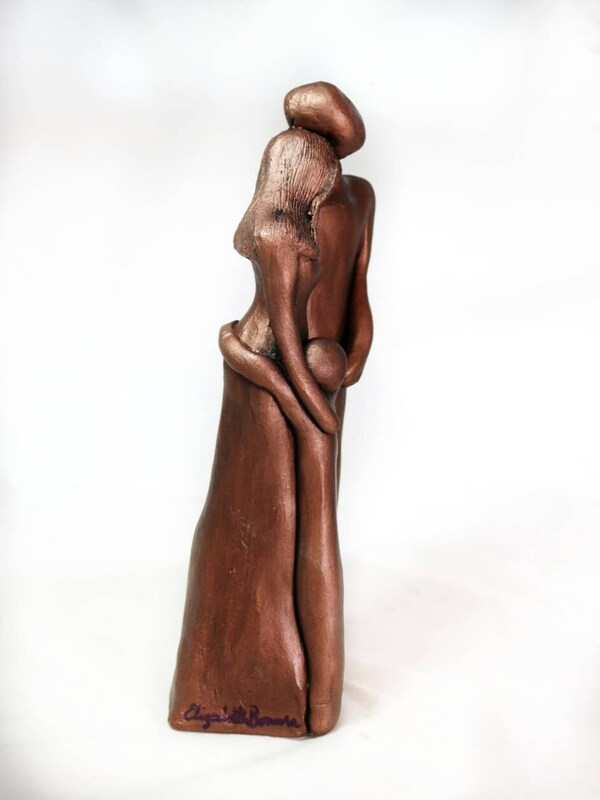 Please provide a description of your child(age and gender) for me to use as inspiration for the sculpture I am creating for you. As you check out you can leave me a note with your family details and the text you want engraved on the sculpture. Text can be engraved on the front, back or bottom of the sculpture. 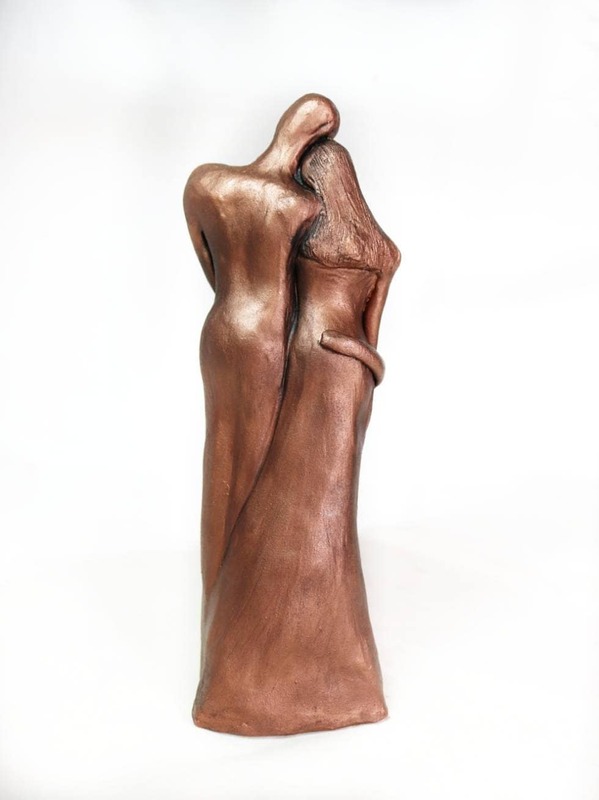 Each sculpture is a cold-cast with copper metal powder and a binder that is then finished with a copper metal coating. 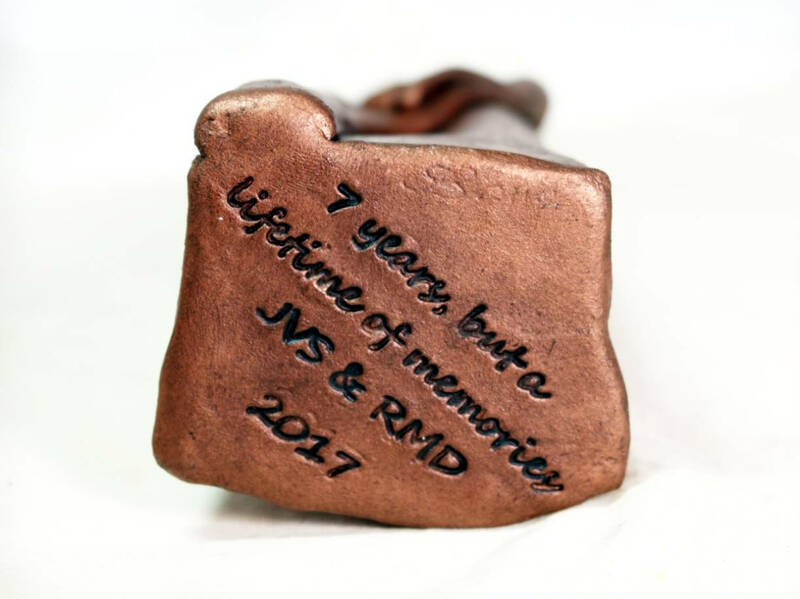 Because this 7 year anniversary gift is custom made and personalized, I need several weeks or longer to create it. HOW I MADE IT: I sculpted the original design out of clay. Then I made a mold of the original sculpture. Finally, I cold cast the bronze, aluminum or copper and finished it with a metal coating. 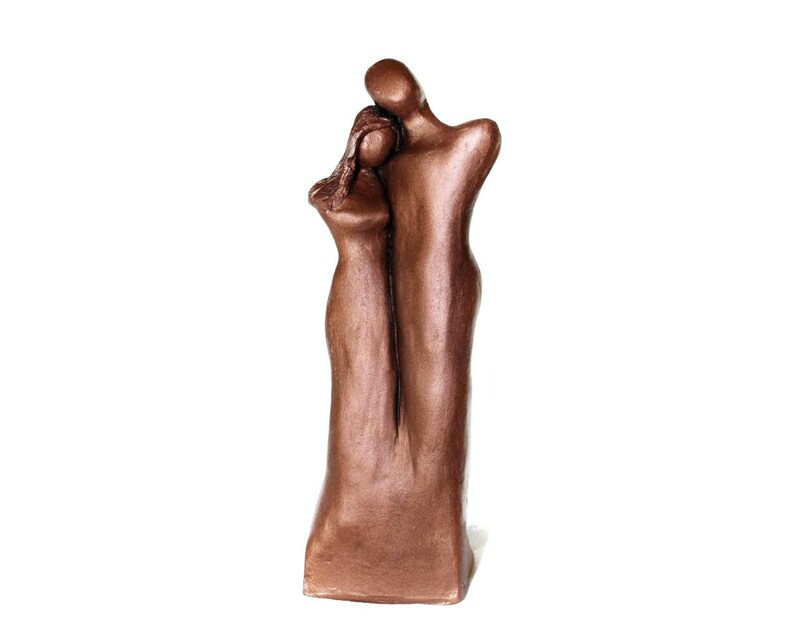 The sculpture is cold-cast bronze, copper or aluminum depending on the finish you choose. I use real bronze, copper or aluminum metal powder mixed with resin to create the sculpture casting. 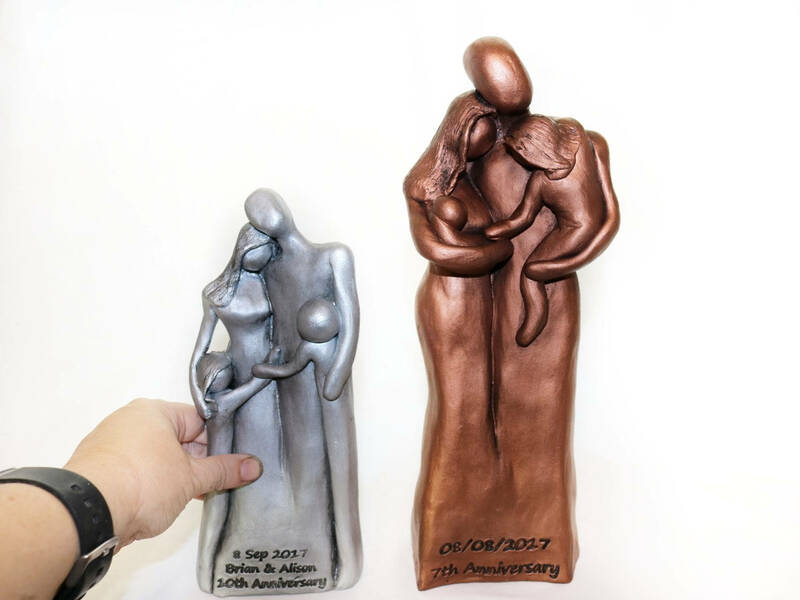 I finish the sculpture with a bronze, copper or aluminum metal coating that also has ground bronze, copper or aluminum metal suspended in an acrylic binder. The ornament most definitely has real bronze, copper or aluminum in it. 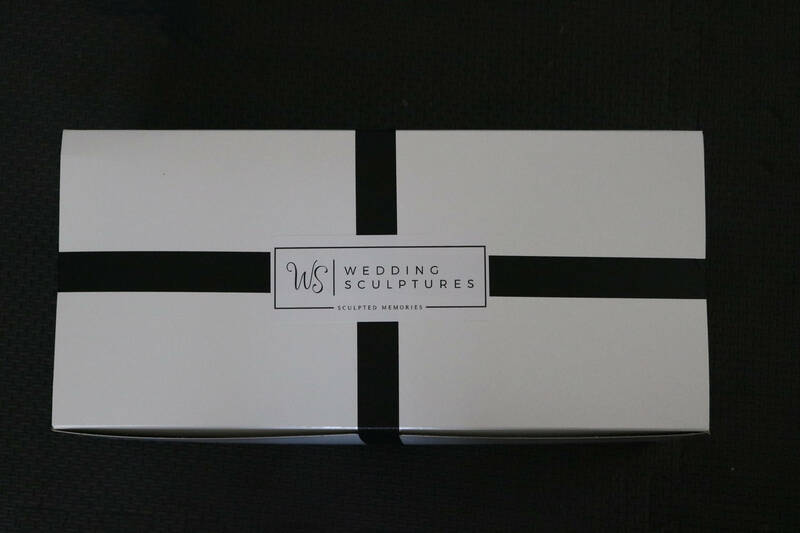 Because it is cold-casted, the sculpture is lighter than a solid metal piece which makes it ideal for shipping.